Members will probably have heard something about the recently formed All Party Parliamentary Group for General Aviation (APPG/GA) The Group has a website at http://www.generalaviationappg.uk where you can read their campaign objectives. When the Group was set up on the 17th February last year the Chairman Byron Davies MP assisted by Red Tape Challenge inaugurator Grant Shapps MP announced their plans to pursue the main concerns that were stressing the General Aviation community. Protection UK airfields from closure and re-instatement of airfields recently closed. Create a fairer system of taxation on pilot training and on aviation fuel. As these pressures affect historic aircraft owners and aviators the HAA executive felt strongly that we must be a part of this important Parliamentary initiative. Myself, your Hon Secretary and member Stephen Crocker were invited to attend the inaugural meeting and at that meeting we were able to get across some of our HAA policy views especially with regard to change in the regulatory and oversight system. The APPG/GA work was slowed down last year by the snap General Election announced in the Spring for the 8th June. Unfortunately Byron Davies lost his seat at that election and the leadership of the APPG/GA was suddenly left vacant. With MPs very busy dealing with re-organisation of Government and Brexit matters it was difficult to find time to focus on General Aviation concerns. Lord Ahmad who was Minister for Aviation moved on, and for a brief period Lord Callanan was in the post only to be replaced quite soon after by Baroness Sugg of Coldharbour. By the Autumn of last year Grant Shapps had rallied the parliamentarians back to the cause, and alerted the Secretary of State for Transport the Right Honourable Christopher Grayling to the stresses GA was experiencing and how general aviation business was in decline. The Secretary called in Byron Davies and appointed him as The GA Champion within DfT and asked him to continue working on the APPG/GA with Grant Shapps. At a Christmas Reception on the 19th December held on the House of Commons Terrace, the Secretary of State announced full support for the work of the APPG/GA. Grant Shapps was able to tell those assembled, that included your Chairman and BADA President Sir Gerald Howarth, that 113 members of the Commons and the House of Lords had all signed up in support of the APPG/GA. Myself and Sir Gerald discussed with Grant Shapps and Byron Davies how the UK air show community has suffered serious setbacks as a result of the CAA and MAA risk-averse approach to air show activity following the Shoreham accident. Since the introduction of recent new air show regulation (CAP403) and additional oversight requirements, air shows in the UK have seen a 30% reduction in activity. Many major air shows have been cancelled or severely curtailed. Restrictions placed upon heritage jet aircraft such as the continuing application of the BCAR Airworthiness Complex Category requirements; the grounding of Hunter aircraft post-Shoreham and subsequent un-grounding with retention of display manoeuvre restrictions, plus restrictions placed on straight-wing heritage jets, has gradually led to aircraft being sold abroad and air show appearances being cancelled. The restrictions currently in place on historic jet aircraft particularly Hunters and other swept wing jets, combined with other recently introduced rules and regulations are stifling the historic jet aircraft displays and air shows generally. The APPG/GA leaders accepted that there were serious problems that needed to be addressed and that solutions could only come from above through Government directives formulated by the Department for Transport and transmitted down to the CAA. As a result of this lobbying by HAA and BADA the APPG/GA are looking at adding a fourth objective to their campaign – that of saving air shows and the introduction of better safety management for air display activity. The aim would be to embrace a risk-based safety management system with oversight provided by a BADA/HAA joint venture administration under delegated authority from the CAA. The CAA has refused to entertain delegation of safety management oversight to neither the HAA nor BADA because current CAA management personnel apparently do not trust the community to take care of safety. This is deeply insulting to those people in the historic aircraft and air show community who have been granted licences, approvals and dispensations by the CAA to undertake responsibilities for safety on behalf of the CAA. Many will say that the CAA has relaxed its oversight of the community. One example might be the introduction of Safety Standards and Consent (SSAC) to enable passengers to fly in the backseat of a Spitfire. It is less than amusing to me that the CAA used the safety management system that HAA member Stephen Crocker gifted to them as the draft Adventure Flight Guide in our ESAM, only to then write their own version as SSAC! 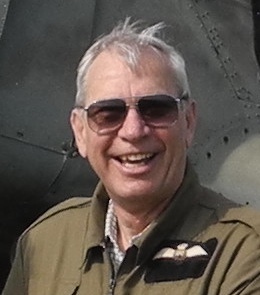 The Adventure Flight Guide was the work of Stephen Crocker and gifted to the HAA, only to be plagiarised by the CAA GA Unit as if it was all their original work. Another example of the CAA heading off proposals for delegation has been the introduction of the BCAR Airworthiness A8-20 series. These regulations allow approved historic aircraft maintainers some additional flexibility in oversight. But this is only under dispensations granted by the CAA – not delegated – and therefore by virtue of privileges that can be withdrawn if the CAA finds the operator no longer acceptable to the Authority! The A8-20 series of BCARs was written specifically to stave off any delegation of oversight responsibility, and thereby ensure the CAA maintained full ultimate control. The HAA Exposition on SAM together with its Business Plan has been sitting on the CAA GA Unit desk now for nearly 2 years. The CAA Chief Executive, and the Head of the CAA GA Unit have placed any proposals for delegation on the back burner until the Shoreham accident Coroner’s Enquiry is completed. You will have heard recently that the pilot concerned Andy Hill is being charged with multiple manslaughter. This process may trigger the re-opening of the Coroner’s Enquiry but that process may not be concluded for many years. It is our view, and this was endorsed by the previous Aviation Minister Lord Ahmad, that such a delay is unnecessary. Through the APPG/GA we will continue to work with our friends in BADA to bring about the introduction of a better risk-based safety management system for governance of historic aircraft and air shows. We have already determined the form of governance that will “achieve the level of safety the historic aircraft community requires” It would be administered by those who are involved on a day-to-day basis, not by CAA inspectors who know little or nothing about historic aircraft restoration and flying. In the meantime your Council are continuing to work on the re-organisation of the HAA to become an effective body capable of accomplishing the best possible outcomes for its membership. We are making progress and by the AGM I know you will see some differences. The HAA wants to continue supporting the historic aircraft and the air show community in a campaign to ultimately manage its own safety in a more cost effective manner. We want aircraft activity to return to that seen in previous decades, and sustain growth into the future.